A good budget buy with a superb camera sensor. It’s a shame the camera software is a little too enthusiastic. SONY XPERIA XA1, a mid-range device available with satisfactory features in very economical price. As we all know SONY is back in Pakistan with its new devices and the competition is very tough these days because already some companies are doing very well. The weak part of SONY XPERIA XA1 is its multi-touch support and battery else it has performed well in every section. It’s no lie that Android OS underwent a complete metamorphosis compared to what it was a few years ago. With the mobile chip development allowing budget 8-core configurations we see extremely stable smartphones at a relatively low price. Mobile photography has also undergone development and Sony Xperia XA1 is an example. At a time when more and more companies are retreating from the high number of pixels at the expense of their size, Sony just adds a larger sensor – 1 / 2.3 “, and again has a 23 MP main camera. It did well in good light conditions and didn’t disappoint when we took the smartphone for a late night walk along the beautiful central street of Plovdiv. The Xperia XA1 is a pretty neat upgrade to last year’s Xperia XA. Its camera has been given a serious shot in the arm, making it one of the best — if not most consistent — smartphone snappers at the price. Compared to last year’s offering, the Sony Xperia XA1 is definitely a significant step up. All the hardware the Japanese brand has put under hood definitely made a big impact on the device in terms of performance and the camera on this phone definitely gets a big ‘ol thumbs up. The problem here is that the competition in this segment is extremely tough and, at Php 14,99o, many may look to other brands that look better on paper at this price point. If you’re looking for a phone with a sweet camera at around the Php 15k price point though, you might want to have a look at the Sony Xperia XA1. The Xperia XA1 is a fine upgrade over its XA predecessor, with a better camera, faster chipset, USB-C and more memory. Moreover, Sony's aging polycarbonate brick design is actually becoming fresh again in this day and age of glass or metal handsets with rounded corners. That’s pretty much it for this unboxing and quick review for the Xperia XA1. Sony Philippines should be sending us a retail unit soon, so do check back for its full review. The Sony Xperia XA1 is priced at Php 14,990. The Xperia XA1 is another of those Sony products that get a 1 suffix for the second generation, making it difficult to count the iterations as the years go by. But hey, who cares about last year? From what the Xperia XA1 offers, this phone is pretty good for users who are on a tight budget and love taking photos. This is because the camera has been greatly improved from its predecessor, while the 5x Clear Image Zoom is also a useful feature to have, not to mention the compact build hides fairly good battery life. Moreover, the PlayStation apps that are pre-installed inside are nice to have too especially if you're a PS gamer. It takes a bit of time to charge up though (two and a half hours, more or less). We gave the original Xperia XA a 3/5 score, and the follow-up looks to be going along a similar path. It looks quite nice, has an interesting camera and there should be plenty of power, but that screen just isn’t up to scratch. 82% Wie schlägt sich die Mittelklasse mit 23-MP-Kamera? Top Allrounder für unter 300 EUR? Schöner Look und nichts dahinter? Positive: Nice design; good display; decent performance; support USB-C. Positive: Nice design; good cameras; decent hardware. Negative: Low autonomy; poor display. Positive: Solid workmanship; nice design; long battery life; good price; nice performance. Negative: Poor cameras. Positive: Elegant design; good ergonomy; nice performance. Positive: Nice design; good performance; decent cameras. Negative: High price. Positive: Good price; impressive color; decent performance; long battery life. Positive: Long battery life; good cameras. Negative: Poor display; no fingerprint sensor; many bloatwares. Positive: Decent cameras; stylish design; nice display. Negative: No fingerprint sensor. Positive: Elegant design; nice display; decent cameras; good hardware. Negative: Low autonomy; average speakers. 70% Test Du Sony Xperia Xa1 : Sony Peut-Il Réinventer Le Milieu De Gamme ? Positive: Large screen; high autonomy; compact size. Positive: Good cameras; nice performance. Negative: No fingerprint sensor. Positive: Fast system; good cameras. Negative: Poor display; no fingerprint scanner. Positive: Compact size; good cameras; nice performance. Negative: Unsupport waterproof. Positive: Support USB-C; nice display; decent performance. Positive: Beautiful design; excellent cameras; good price; nice performance. Positive: Elegant design; nice performance; decent cameras; long battery life; good price. Negative: Poor display; no fingerprint sensor. Positive: Excellent cameras; beautiful design; great built quality; decent hardware; fast fingerprint sensor; good price. Positive: Beautiful design; powerful hardware; fast system; excellent cameras; good price. Positive: Excellent cameras; good price; nice design; long battery life; quick charge; decent hardware. Positive: Good price; premium design; excellent caemras; decent hardware. Positive: Elegant design; nice performance; good rear camera. Negative: Short battery life; plastic case; poor front camera; no fingerprint sensor. Positive: Good price; nice display; good cameras; decent hardware. Positive: Powerful hardware; high performance; excellent cameras; good cooling system. Negative: Low autonomy; poor display. Positive: Powerful hardware; high gaming performance; excellent cameras; good cooling system. Negative: Poor display; short battery life. Positive: Slim size; nice design; good cameras. Negative: Poor display. The Sony Xperia XA1 is a mid-range smartphone with an edge-to-edge screen, with an ever-so-slight curve giving it a nice look. It has a quite striking design and it is very pocketable. In the year of bezel minimalism, Sony's phones look especially out of the loop and the XA1 is no exception. The 5-inch screen is framed between the huge top and bottom bezel areas, making the Sony as tall as the Honour 8 or Galaxy A5. As for color options, it is available in White, Black, Gold, and Pink. The color is continuous on front and back. The phone still comes with on-screen keys, doesn't have front-firing stereo speakers as the lower slit is simply a microphone. The sole speaker is situated at the bottom. Despite this, the phone has a pleasantly distinct and elegant look to it. The Xperia XA1 is narrow enough to be comfortable for one-handed operation and feels sturdy in the palm. In fact, it is solid despite the all-plastic construction. Being a pocketable phone, the Xperia XA1 does not offer a huge screen. It features a 5-inch LCD with a resolution of 720x1280 pixels, but an HD screen is sufficient in view of its diagonal. The display is bright enough and with low screen reflectance to seem perfectly legible under direct sunlight too. There are other areas that seem a lot more positive, notably the camera. On the back of the Sony Xperia XA1 is the same camera that just 18 months ago sat on the brand’s flagship Xperia Z5. It is a 23 MP 1/2.3 inch sensor with an f/2.0 aperture and phase-detection autofocus. On the front, there is an 8 MP sensor, but it lacks the optical image stabilization and the flash of its bigger brother. The hand shutter automatically detects the palm of the user’s hand and takes a selfie. Under the hood, the processor comes from MediaTek, which is a supplier that is becoming more and more tied to mid-range devices. It is the latest octa-core Helio P20, which is a power-efficient processor. In addition, there are 3 GB of RAM and a decent 32 GB of internal storage that can be expanded via microSD. As for graphics, it has the ARM Mali-T880 graphics subsystem which is OEM and dual-core. The Xperia XA1 ships with Android 7.0 Nougat along with Sony’s skin that has steadily improved over the years. There are lots of Sony’s own media apps installed, but they are mostly quite well-designed. For the battery, it features a 2,300 mAh battery that Sony claims will last all day, which should be true considering the low-resolution screen. It will charge up via USB-C, just like all of Sony’s other phones. According to Pocket-Lint Sony also marked the dead of Z line with the launch of the new series of smartphones, the X series, which was announced at the Mobile World Congress in 2016. 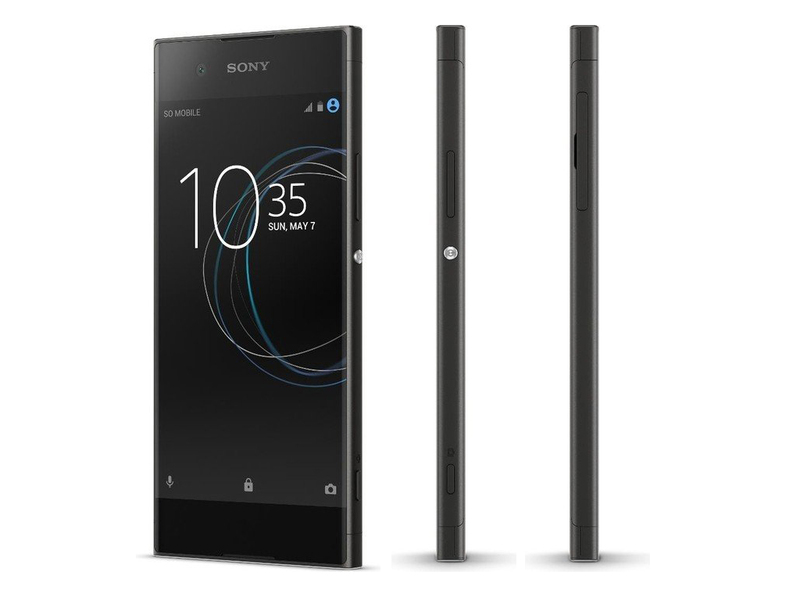 Developed from its predecessor, the Sony Xperia XA with the edge-to-edge display, the Xperia XA1 is considered to “prove to be more cost effective without sacrificing the charm with Sony’s design” (page AndroidAuthority). Sony improved the Xperia XA1 with an interesting camera, superior audio and visual technology and near bezel-less display. Yet, there are still some minor, unexpected weaknesses. The Sony Xperia XA1, as commented on page GSMArena, measures 145 x 67 x 8.0 mm, which is a little larger than the predecessor in all three dimensions. Moreover, the 1.4 mm increase in height may be small, but is really unnecessary. Also, according to page MobileSyrup, the reviewer complained that in any case, the design philosophy wasn’t all that different: “The slimmer look at 2.64 inches wide is pretty much the same, yet for some reasons, we initially felt like it had shed a few millimeters along the edge”. “It has a quite striking design and it’s very pocketable, but it’s not quite as enticing as it was 12 months ago” (page TrustedReviews). In another point of view, Pocket-Lint remarked that the rear of the Xperia XA1 was a lot less fussy than the Xperia XZ and XZs, however, with one sheet of metal rather than the combination of textures offered on the flagship devices for a much more fluid finish. Page AndroidAuthority showed a plus point for this device: “When it comes to being pocketable, the XA1 is one of the few higher caliber phones in the market that can be handled with a single hand - allowing your thumb to easily encompass all corners without too much stretching” whereas TrustedReviews supposed that the lack of a fingerprint scanner was a shame, especially as lots of competing phones have that now. Otherwise, the reviewer of page TechNave said that his favourite design aspect from the XA was still there as well, which was the 2 mm thin bezel on both sides making it look good, but he still thought the bottom space was a waste of space. The phone is equipped with a 5-inch 720p display which makes for a pixel density of 294 ppi. This is not cutting edge, but decently sharp nonetheless. “Under a microscope, you’ll see a conventional RGB arrangement with equal number of subpixels for each primary color”, said GSMArena. Nevertheless, as a remark from TrustedReviews, the screen hasn’t been updated and it’s still stuck at 720p, which seems a bit meager for a 5-inch panel in 2017. It’s fine to look at from a distance, but get a bit closer and jagged icons are clearly visible. “The panel lacks vibrancy and just seems a bit dull” (TrustedReviews). On the contrary, Pocket-Lint gave their positive opinion as with the original XA, the XA1’s display seems to do well enough despite its being a lower resolution than the likes of the Xperia XZs. Despite that, the reviewer of AndroidAuthority stated that they couldn’t deny that the XA1’s huge bezel above and below look lovely, especially on the XA1 ultra and its ginormous 6.0 inch 1080p display: “It’s roomy to say the least, but unfortunately for the XA1, it’s stepped down to a 5.0 inch 720p screen”. In the tests of GSMArena, the Xperia XA1 returned slightly higher number for maximum brightness than its predecessor, and only a bit lower than the flagship XZs. Regarding page GSMArena, the Xperia XA1 is running Android 7.0 Nougat at launch, so it’s not as up to date as the XZs and its version 7.1.1 by the time the review written on this page. Therefore, we would be hard-pressed to tell the difference, though, as Sony’s customizations are both very light and consistent between devices and OS versions. The Sony Xperia XA1, following an evaluation of TrustedReviews, ships with Android 7.0 Nougat along with Sony’s skin that has steadily improved over the years: “There are lots of Sony’s media apps installed, but they’re mostly quite well-designed. However, a nice touch is that Google Now sits on the left-most homescreen, as it does on Pixel and Nexus devices”. Besides, GSMArena complained that the homescreen appears unchanged from the rest of the X series: “This includes the swipe down gesture: it shows a screen of the apps you use the most, along with recommendations for new apps to install”. This page also added: “The traditional app drawer is present, and you’ll find a number of proprietary apps pre-installed”. Moreover, themes are available that can customize the look and sound of the Xperia XA1. Some themes are even interactive with their wallpapers reacting to your touches. As shown on page TrustedReviews, the processor, in fact, comes from MediaTek - a supplier that’s becoming more and more tied to mid-range devices - and it’s the latest Helio P20. In the Pocket-Lint’s perspective, the hardware specs are pretty good, considering the fact that this is a mid-range device. The phone comes with 32 GB of internal memory that can be expanded via micro-SD. A 64-bit octa-core MediaTek Helio P20 processor handles all the basic stuff nicely from what we’ve seen so far, as a comment on page AndroidAuthority. TechNave ran the AnTuTu benchmark test and got a score of 59460, which is mid-range. Regarding a review from GSMArena, the Helio P20 is built on a 16 nm process, while the 28 nm process was used for the Helio P10. They evaluated it as a really modern midrange chipset with great power efficiency. “Overall, we can’t say we have any grounds to complain about the XA1’s performance - quite the opposite. The Xperia and its Helio P20 chip were in the upper half of the charts in most instances and showed particular promise in graphics department thanks to Sony’s conservative choice of 720p display resolution”, GSMArena gave their conclusion about the Xperia XA1’s performance. Talking about the connectivity, “The Sony Xperia XA1 comes in single and dual SIM flavors. Ours is the single SIM version, so we can’t comment on how the dual SIM one handles the two cards. Cat.6 LTE is supported by the Helio P20’s modem for download speeds of up to 300Mbps”, said GSMArena. In addition, Pocket-Lint remarked that there was no mention of waterproofing either, but the rest of the overall designs is familiar and up-to-date with USB Type-C over the Micro-USB at the bottom, a 3.5 mm headphone jack at the top, camera launcher button on the right-hand side and a micro-SD and SIM slot covered by a flap on the left. Also, the reviewer from GSMArena left his comment: “Peripherals can be connected via the USB-C port, but it only adheres to USB 2.0, so transfer speeds are limited to 480Mbps. There’s a good old 3.5 mm jack for attaching headphones too”. What is supposed to be significantly different is the rear camera according to MobileSyrup: “The 23-megapixel 1/2.3 Exmor RS image sensor is a lot like the one used in past devices, like the Xperia Z5 and Z5 compact”. 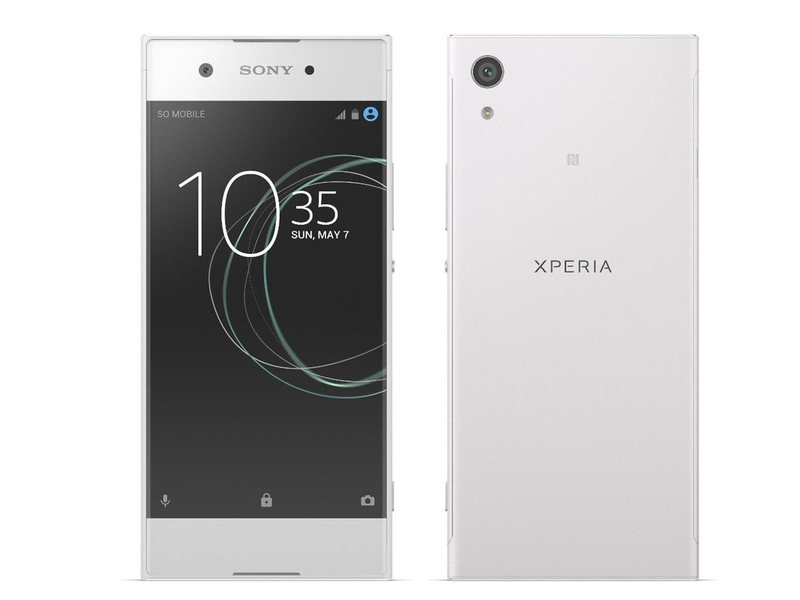 A remark from page TrustedReviews noted that on the back of the Xperia XA1, there is the same camera that just 18 months ago sat on the brand’s flagship Xperia Z5. And on the front, we have got an 8-megapixel sensor, but it lacks the optical image stabilization and flash of its bigger brother XA1 Ultra. Meanwhile, the reviewer of Pocket-Lint considered the Xperia XA1 mid-range handsets: “Unfortunately, they don’t get the latest and greatest when it comes to Sony’s camera features. 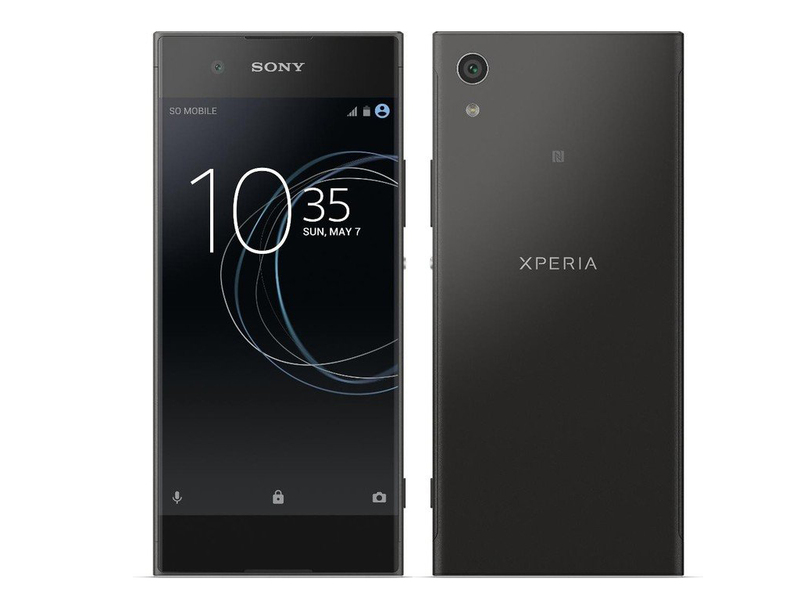 That means that while you won’t get the new Motion Eye camera with its super slow motion video feature that has been introduced on the Xperia XZ and XZ Premium”. As a plus point from AndroidAuthority, with the slap 23 MP 1/2.3 inch Exmor sensors of the Xperia XA1, they evaluated that this device was pegged for their low light performance. Sony is so confident about the performance of its new camera that they are promising stellar quality at ISO 6400. Finally for this part, TechNave showed their opinion that the 5x Clear Image Zoom was the only thing that’s new from the phone: “Basically, it allows you to zoom in 5x more and still have a solid image after that. However, zooming into 5x is a bit tedious because it’s not a smooth process when you want it”. Sadly, “The Xperia XA1 keeps the predecessor’s battery capacity, so it packs 2300mAh worth of juice, which is not a lot by any measure” (quoted from GSMArena). Also from this page, “But it’s not the battery capacity that matters as the power efficiency of the chipset is paramount to the smartphone battery life”. Similarly, page MobileSyrup also thought that the 2300mAh battery was the same size, but it was unclear if a newer processor might have positively affected how long it lasted per charge. Showing a little worry about the battery life of the Xperia XA1, TrustedReviews said: “Sony claims that Sony Xperia XA1’s battery will last all day, which should be true considering the low-resolution screen, but I’ll have to test it further to see if it lives up to those claims”. Particularly, Sony Xperia XA1 got 72 hours endurance rating from page GSMArena, whose 3G talk time was 15 hours and 41 minutes, web browsing was 10 hours and 6 minutes, while video playback was 9 hours and 39 minutes. Coincidentally, as much as the Xperia XZ got recently thanks to Sony for improving battery performance across the entire portfolio this year and thanks to MediaTek for finally improving the power efficiency of its chipset. “To be honest, we were skeptical at first of the Xperia XA1 - a boxy device, trying to ride the compact train, and its major upgrade is the power-efficiency chipset and a camera we’ve been less than thrilled with on the previous occasions. Looks like Sony has got things right in the midrange, again” (GSMArena). 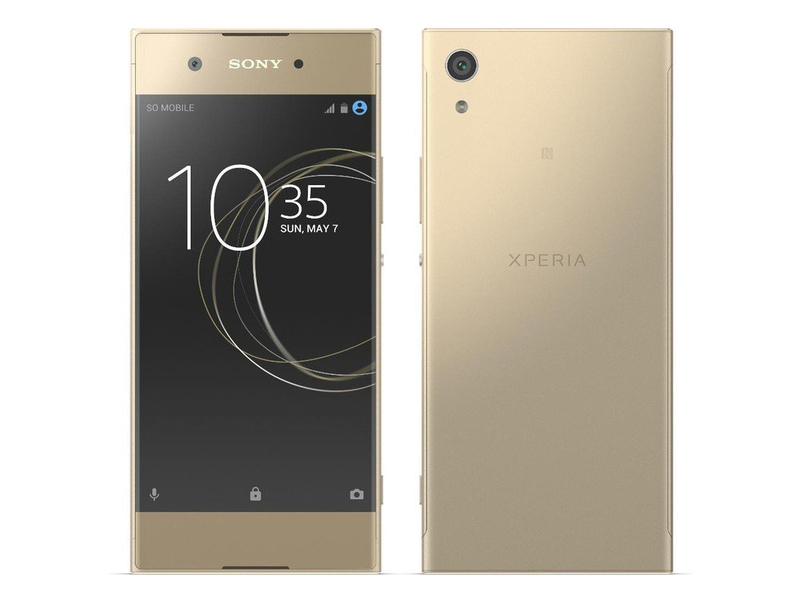 Although the manufacturer, Sony, did not improve the Xperia XA1 as user expected, this device still has its advantages, for example, 3 GB of RAM, the beefy 23-megapixel camera, the new CPU (MediaTek Helio P20) as well as USB Type-C. However, there are some apparent flaws which could make user feel dissatisfied, such as: 5-inch 720p display, smallish battery capacity, or no fingerprint sensor. Therefore, TrustedReviews gave the original Xperia XA 3/5 score, and the follow-up XA1 looks to be going alone the similar path: “It looks quite nice, has an interesting camera and there should be plenty of power, but that screen just isn’t up to scratch”. Lastly, “Considering they are mid-range devices, the Xperia XA1 shows a lot of promise on paper. They are definitely up there with the most exciting Xperia devices in Sony’s portfolio, mainly thanks to offering something a bit different”, concluded Pocket-Lint. 71.99%: This rating is bad. Most notebooks are better rated. This is not a recommendation for purchase.